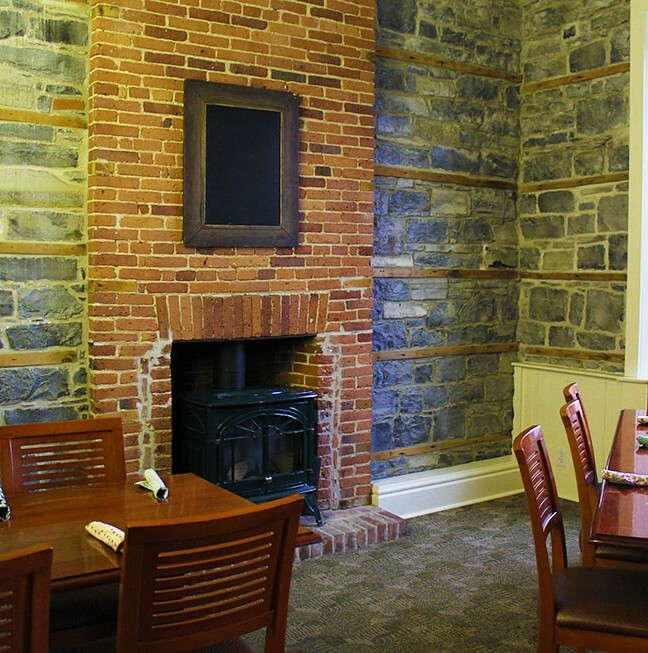 The delectable smells of fresh bread and pastries, gourmet entrées, desserts, and other delectable creations overwhelm your senses as you walk into Kingston’s Pan Chancho Bakery and Café. Although I have visited many a time, I keep returning because there is always something new to discover and to indulge in. Combined with ever-helpful and knowledgeable staff, I am immediately reminded of all the reasons why Kingston is one of the fastest growing tourism markets in the country. As General Manager of Chez Piggy and Pan Chancho for over thirty years, Nick Waterfield had already been part of Chez Piggy Restaurant since its inception in 1979, when Canadian rock musician, Zal Yanovsky, opened the restaurant with his wife Rose Richardson. Since then, Nick has seen Pan Chancho established in 1984 and evolve from a small bakery originally at Johnson and King Streets into an unmistakable landmark in the downtown Kingston scene. A little clue to the true meaning of Pan Chancho’s name. 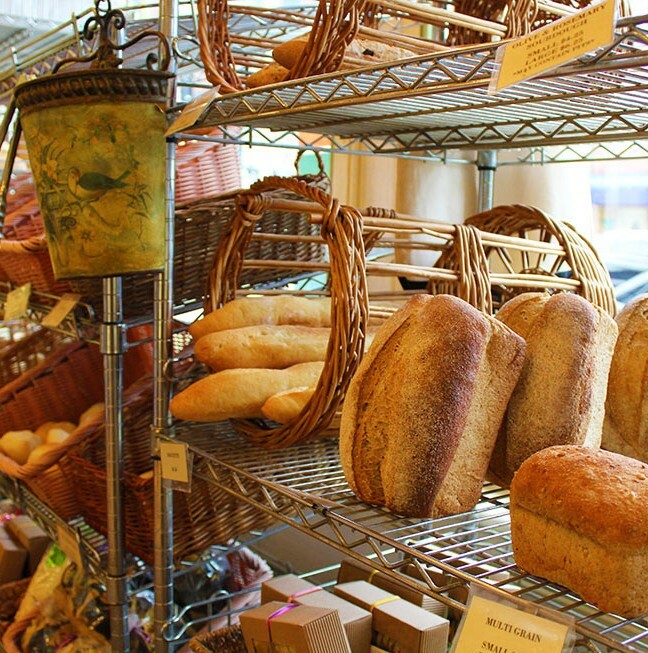 With an extensive collection of baked goods and products, it’s no wonder that Pan Chancho is so popular. Looking for a delicious meal? Look no further! 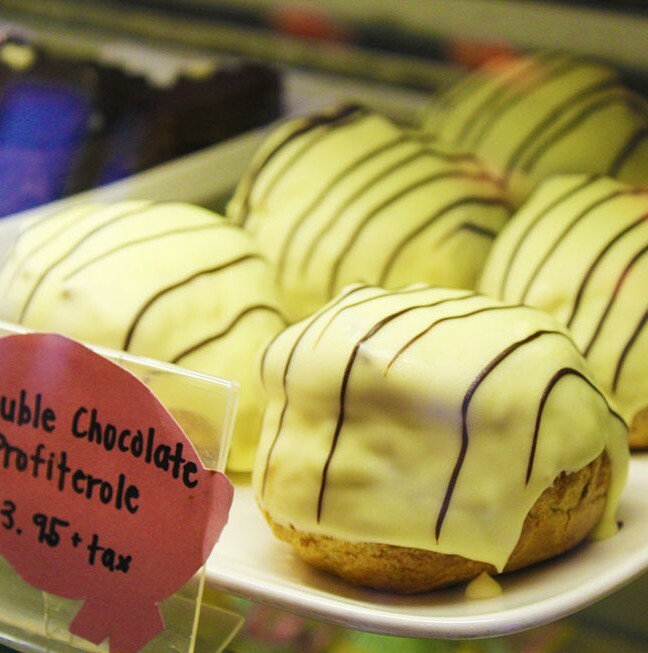 Though Nick could not pick a favourite (“I would recommend everything!” he says), popular items are the chocolate profiteroles, scones, and their delicious artisan breads. As it turns out, each staff member has a “must-have” item as well, further emphasizing Pan Chancho’s appeal to any kind of taste buds. When I spoke with Nick just before the Easter long weekend, hot cross buns, chocolate salted shortbread, cupcakes and other sweets were the highly sought after items. Pan Chancho changes their menus seasonally and also adds items based on customer recommendations, including the recent addition of gluten-free goodies. In fact, it is difficult to phase out any menu item as customers stay loyal and true to their favourites and will make a point to ask for them back! Indulge in Pan Chanco’s popular double-chocolate profiterole! 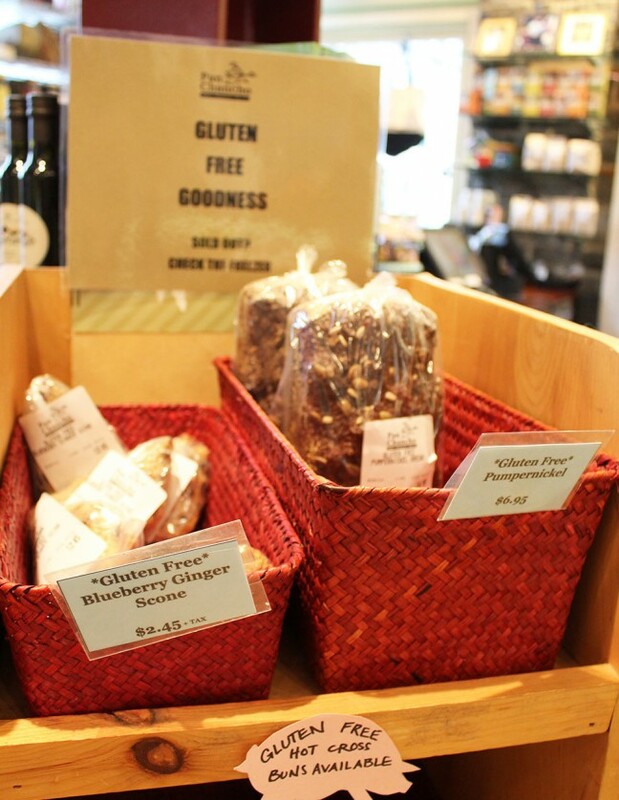 Available by popular demand – gluten-free products! 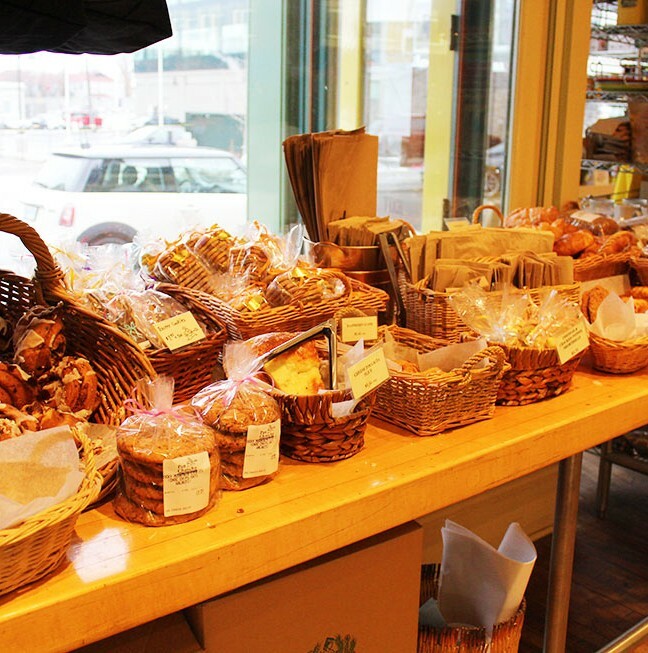 Choose from a wide assortment of delicious breads, baguettes, buns and baked goods! 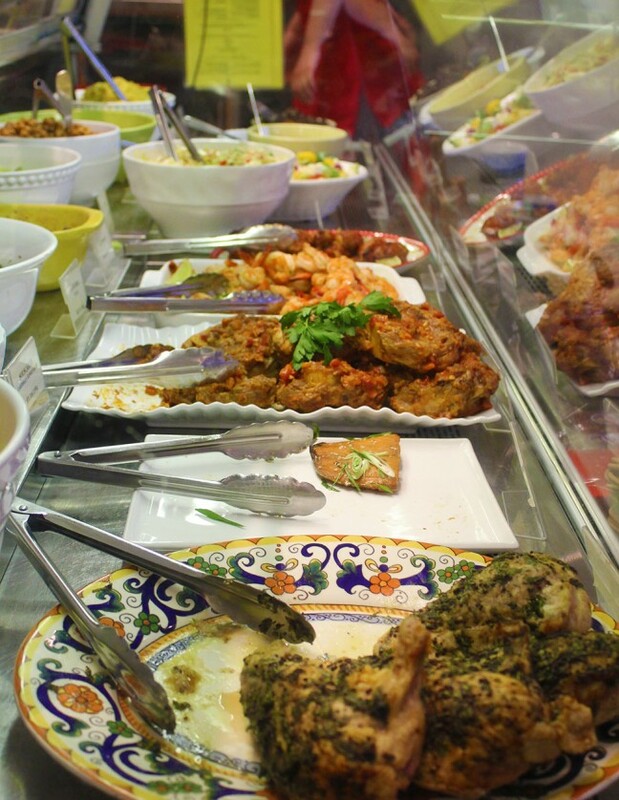 At Pan Chancho, there’s something for everyone: grab a dinner-to-go after a busy day, linger over breakfast with friends on a Saturday, or pick up a box of delectable pastries as a treat for your family (or maybe just yourself). 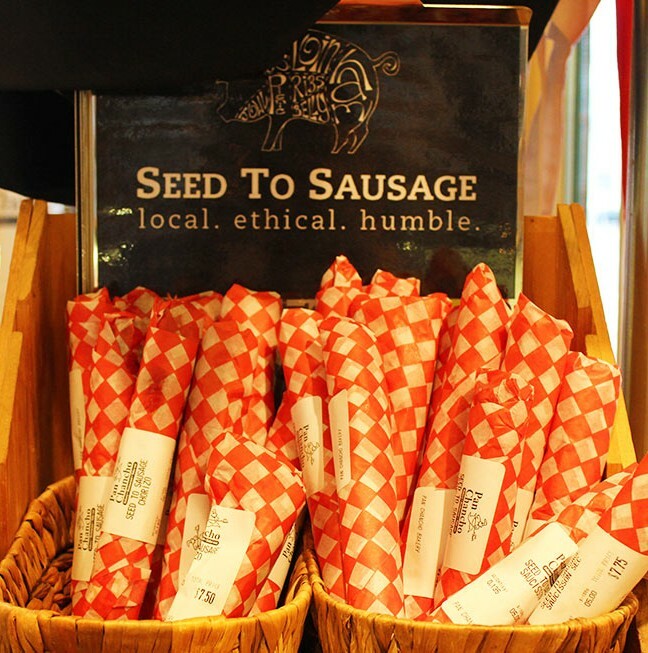 If you’re looking for local products, you can browse selections from a variety of local producers, including Limestone Creamery, Seed to Sausage and Lyon’s Family Farms. 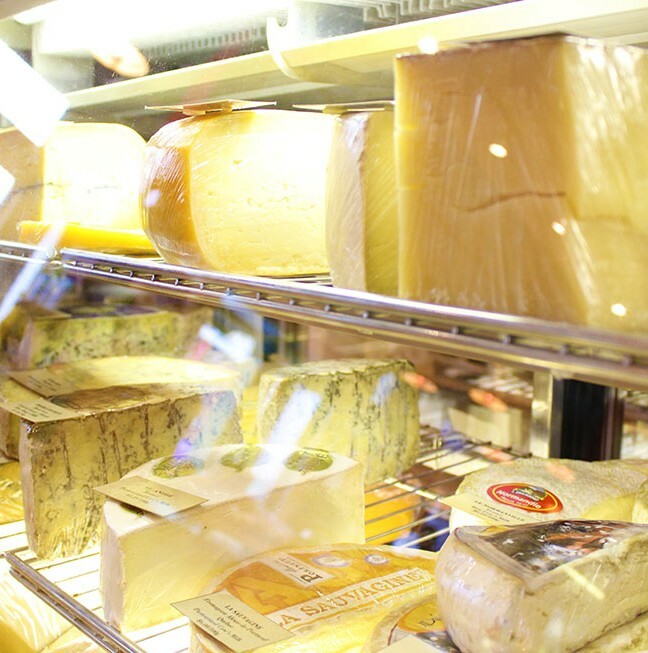 For cheese-lovers, Pan Chancho sources Prince Edward County producers for certain cheeses (with over 100 kinds of cheeses in total), and other Canadian sources promoting healthy and organic choices. 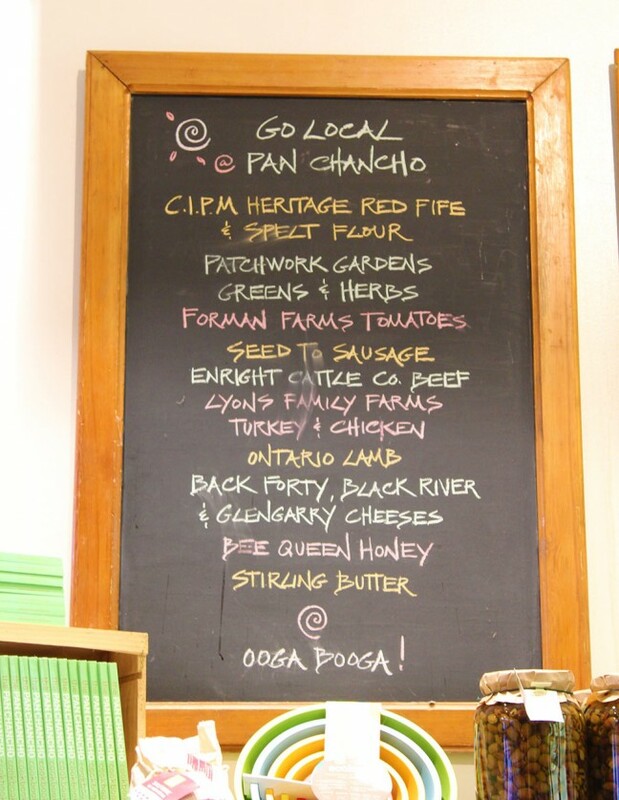 Seed to Sausage is just one of Pan Chancho’s featured local producers! A full list of products available from local producers. As if a full-time café and bakery wasn’t enough, Pan Chancho also offers a renowned catering service for office or business functions as well as a private dining room for more intimate celebrations. Despite thousands of people passing through their doors each day, Pan Chancho maintains their trademark high quality, by what Nick described as a focus in good customer service, an eye for detail, and of course, good food. In need of a sit-down? This year, Pan Chancho celebrates 20 years of serving not only the local Kingston community, but also visitors from around the world. Pan Chancho’s fame has only grown and Nick attributes that to its family values – it is an intergenerational legacy with a number of children of staff working there as well. Pan Chancho has certainly carved out its own place and identity in downtown Kingston, staying true to the intent and vision of Zal and Rose, who are arguably two pioneers of Kingston’s vibrant downtown community with their desire to highlight local ingredients and products. As summer approaches, Pan Chancho, both inside and outside on the patio will sure to fill up quickly – be sure to beat the crowd to get the best selection of offerings! It takes about seventy-five individuals to keep the café and bakery running. 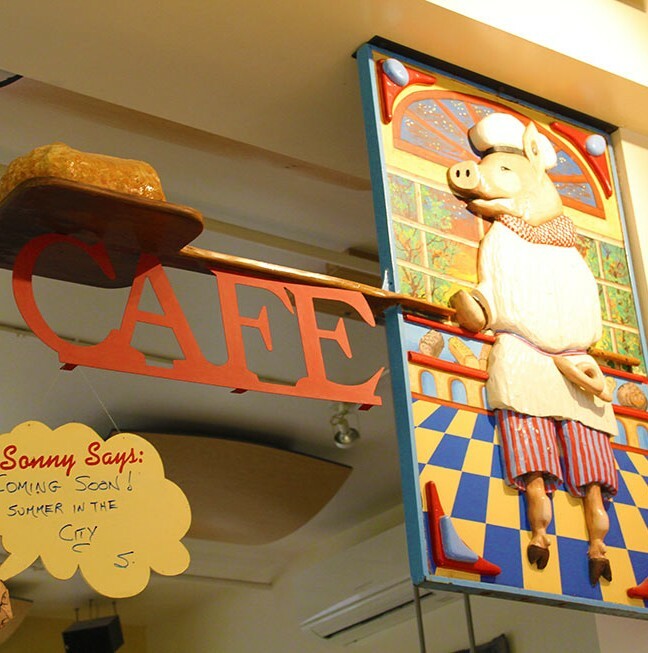 Pan Chancho’s name is commonly misunderstood (and mispronounced) – instead of naming it “Chez Piggy Bakery,” Rose, one of the original owners, thought up something unique; pan chancho means “Bread Pig” in an obscure Spanish dialect from Central America. Cooke’s Fine Foods has a “Chez Piggy” blend of coffee you can also purchase in-store.